Do children learn anything from philosophy? The College of Education’s Department of Leadership, Educational Psychology and Foundations invites the campus community Thursday, Oct. 3, to the 2013 James and Helen Merritt Distinguished Service Award Lecture. 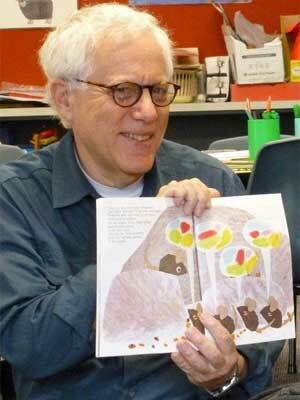 Thomas E. Wartenberg will present “Does Teaching Children Philosophy Educate Them? : Anti-Platonic Reflections on Doing Philosophy with Young People” at 4 p.m.
A reception featuring complimentary refreshments begins at 3:30 p.m. in the Sky Room of the Holmes Student Center. Wartenberg, a professor of philosophy at Mount Holyoke College and a member of the graduate faculty at the University of Massachusetts-Amherst, is the recipient of this year’s Merritt Award. Given annually to a distinguished scholar in recognition of his or her contributions to the field of philosophy of education, the award honors the legacy of former NIU faculty members James and Helen Merritt. Wartenberg’s areas of specialization include philosophy for children, philosophy of film, aesthetics, the history of philosophy and social theory. His many postdoctoral fellowships and awards include two Senior Fulbright Research Fellowships (1986, 2012), and several NEH Summer Seminar Fellowships. He has authored over a dozen books and close to 100 journal articles and book reviews. His 2013 publications include “A Sneetch is a Sneetch and Other Philosophical Discoveries: Finding Wisdom in Children’s Literature” (Blackwell), and “Philosophy in Schools: An Introduction for Philosophers and Teachers” (Routledge); the latter co-authored with Nicholas Shudak, M.S.Ed., an alumnus of the COE’s foundations of education program. James Merritt, philosopher of education and professor emeritus in the NIU College of Education, and Helen Merritt, artist and professor emeritus of art history in the NIU College of Visual and Performing Arts, started this annual series 20 years ago to recognize scholars who have influenced educational philosophy and practice in the United States and abroad. The first philosophy of education professor at NIU, James Merritt founded the NIU Master of Science degree in Foundations of Education in 1964, which was originally called a Master of Science in History and Philosophy of Education. Helen Merritt received the Award for Excellence in Undergraduate Teaching in 1990. 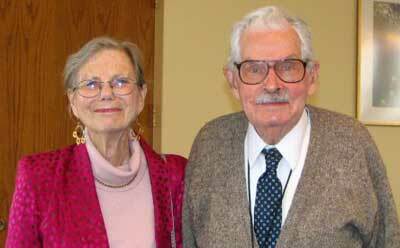 Both Merritts contributed to the NIU community through their teaching, scholarship and philanthropy. Their support benefits not only the College of Education but also a variety of civic projects, including their gift to DeKalb County of the original 40 acres of what is now known as Merritt Prairie Forest Preserve. Helen Merritt died May 12, 2009. James Merritt died Dec. 20, 2010. The couple’s daughter, Deborah Merritt Aldrich, carries on their work and commitments. For more information, call (815) 753-4404. Next Post:How are we here?